Surrey – With opioid overdoses on the rise, the City of Surrey’s Fire Service has turned to technology to warn fire, police, and emergency health responders when a bad batch of drugs may have hit the streets. Through a partnership with Qlik business intelligence software developer GINQO, the city has developed software that mines data from dispatch calls in real-time for signs of overdose clusters. The software immediately issues an alert when data corresponds with pre-set rules, for example, if there are more than three overdoses within a square kilometre in a four-hour period. The Surrey Fire Service is perfectly placed to lead this project as the Fire Service were first responders to an average of 7.5 overdose calls per day in 2017 or 2,707 in total. The initiative was prompted by a series of 17 overdoses over a 72-hour period in December 2016. In early 2017, the Surrey Fire Service began working with GINQO to create Qlik software that would provide real-time reporting of overdose clusters. The aim was to use the information to assign and deploy resources more effectively, potentially preventing further overdoses in emerging problem areas, instead of responding reactively to overdose calls. The initiative compliments the recently announced City of Surrey- Statistics Canada Opioid Project, which aims to build more rigourous data that strengthen all aspects of the city’s response to the opioid crisis. At a time when government and public health agencies across Canada are seeking a solution to the opioid crisis, Surrey’s innovative project has attracted interest from other authorities. Within months of its development, the city has received information and presentations requests by government and public health officials in both Canada and the United States. 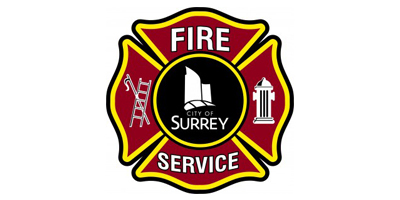 Be the first to comment on "Surrey Fire Using Technology To Respond To Overdose Clusters"